Thailand is an all year round tropical destination even though you will find that the climate varies throughout the country. In general, the weather is hot and humid across most of the country throughout the year. The weather in central, northern and northeastern Thailand is determined by three seasons: The dry and cool season lasts from November to February whereas the dry and hot season occurs from March to May. The rainy season starts in May and ends in November and is dominated by the southwest monsoon, during which time rainfall in most of Thailand is the heaviest. On the Andaman or west coast, where Phuket, Krabi, and the Phi Phi Islands lie, the southwest monsoon brings heavy storms from April to October, while on the Gulf of Thailand or east coast, where Koh Samui, Koh Phangan, and Koh Tao are situated, the most rain falls between September and December. The most popular season for tourists to travel to Thailand because of the lower temperatures while the chance for rain is little. This month usually brings a lot of sunshine to the beaches on the west coast. There may be a little bit of rain on Thailand’s east coast. When you visit Thailand in April, expect to see more tourists as April is still considered high season. The traditional Songkran Festival (Thai New Year) takes place all over the country from 13 to 15 of April. This is a great time to travel if you are looking for the extra fun but not if you are looking for a bargain. Even though historically May and June may not be seen as the best months to visit Thailand, we highly recommend to travel to Thailand during this time as you can take advantage of lower accommodation rates due to the shoulder season. The weather during these months is sunny with only a little chance of rain. When visiting beaches, make sure to choose a beach destination on the east coast. While the beginning of July is still a good time to travel to Thailand and the sun is still out on the beaches of the east coast, August and September are the wettest months of the year. If you are looking for a beach holiday, you can make a good bargain but stick to the islands in the Gulf of Thailand on the west coast. While rainfall can occur from time to time in October; November and December are excellent months to visit Thailand as it is sunny, relatively cool and dry in most places. Beware of the festive season at the end of December when most hotels charge a holiday surcharge. Bangkok’s bustling capital began as a small trading centre at Chao Phraya River 200 years ago. Today, the city is well known for its great shopping possibilities, diverse nightlife and endless dining options. But, visitors can still find hints of its illustrious past and dazzling temples, glamorous palaces, and colourful markets. The Ayutthaya Historical Park is a UNESCO World Heritage Site just a 2-hour drive from Bangkok. During a visit to Thailand’s picturesque North, you will discover Thailand’s spiritual side. Life is a lot slower and more traditional here. We love the green hills and serene landscape of Chiang Mai, its rich heritage, the countless trekking possibilities and the possibilities to see wildlife up close. A three-hours drive from Chiang Mai leads to Chiang Rai and the legendary Golden Triangle, where the mighty Mekong and Ruak rivers meet and where Thailand borders Laos and Myanmar. This mystical area with its scenic charme is dotted with remote villages populated by the Hmong, Shan, Yao, Karen, Lahu and Lisu ethnic groups. 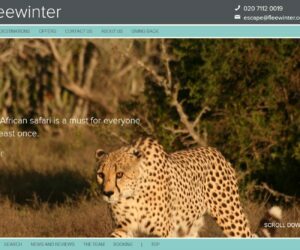 Here, guests will find an abundance of possibilities to get in touch with local communities. Ko Kood (also known as Koh Kut) in the Gulf of Thailand is the country’s fourth largest island. However, it is only little developed and still relatively untouched. 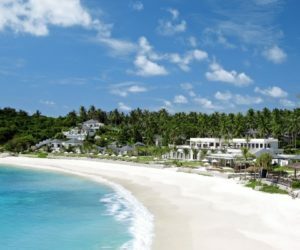 We love this island not only because of its tropical rainforests, breathtaking waterfalls and empty white beaches, but also because of the fantastic hotel options we have found here. Ko Samui is one of the most visited islands in Thailand, and with good reason: The country’s third largest island is in our opinion one of the best places for an active beach holiday in Thailand. Although busy in parts, it is still possible to find real solitude if you know where to look. The UNESCO World Heritage site Sukhothai was the capital of the Thai Empire for approximately 140 years. As of 2014, 193 temples have been excavated and partly reconstructed. Despite its reputation as a party place, most visitors coming to Koh Phangan are not interested in Hat Rin’s party scene but looking for beautiful beaches, turquoise waters and strolls through the national park with its diverse flora and fauna. We love this hippie-at-heart island and have found beautiful boutique hotels and luxurious resorts for you. Get close to nature at the Khao Sok National Park – one of the oldest evergreen rainforests in the world. 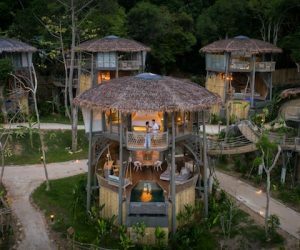 Conveniently situated on the mainland between Phuket, Krabi, Khao Lak and Koh Samui, a stop at this nature reserve can easily be combined with a trip to one of Thailand’s amazing beaches. Visitors will find rare flora & fauna, huge limestone mountains, deep valleys, breathtaking lakes, exciting caves and wild animals. 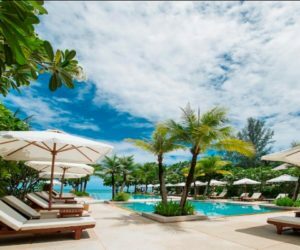 Hua Hin, situated only some 160 km from the bustling metropolis of Bangkok, is a delightful mix of city and sea with long beaches, colourful markets and a great infrastructure. 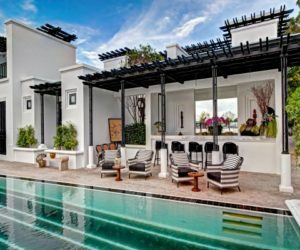 If you are looking for a palm-fringed hideaway, Hua Hin is probably not the place for you. But, this friendly beach town is a great spot if you are looking for some fun beach days and you don’t have the time (and money) to go all the way down South to the islands. Despite its reputation as party headquarter, Phuket has some gorgeous corners and fantastic beaches on offer. In fact, we found some of Thailand’s most innovative hotels and luxury resorts on this island. Khao Lak is located an hour’s drive north of Phuket on the Andaman Coast. In contrast to Phuket the area is peaceful with a backdrop of jungle covered mountains and kilometre long beaches. With its sandy white beach and turquoise waters, Koh Lipe might be the island paradise you have been looking for. It takes a little longer to get there but the ferry ride is oh so worth it: Gorgeous salt-white sand crescents, jungled hills, fabulous dive sites and lovely bars with a hippie vibe. This island is one of our favourites. With its own airport Krabi is now easily accessible from Bangkok and thus no longer just the haunt of intrepid backpackers. The main beach resort Ao Nang is a little developed for our tastes, but hidden in a small peninsula nearby sits Railay Beach. Accessible only by boat due to high limestone cliffs which cut off the mainland, Railay attracts rock climbers from around the world, but is just as popular for its beautiful beach. Our favourite beach in Krabi is the Tup Kaek Beach with its quiet surroundings, stunning sunsets and fabulous hotel options. Kanchanaburi is a couple of hours North West of Bangkok. 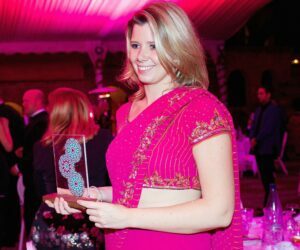 It is best known for its part in the Second World War when thousands of allied POWs and Asian workers lost their lives during forced construction of the Thai-Burma Railways. Kanchanaburi is a fascinating and moving place, but it is also great for hiking, bamboo rafting and home to a number of tribes. Pai is a peaceful town of laidback charm and simple character. Visitors will find unspoilt forest, thundering waterfalls, huge limestone caves and traditional mountain villages. Isaan is located in the northeastern region of Thailand, close to the borders to Cambodia and Laos. If you want to learn more about Thai traditions and the daily way of life in a beautiful rural area, this is the right place for you. Thailand's landscape, people and experiences are so diverse that you could spend months exploring stunning beaches, bustling street markets and remote hill tribe villages. 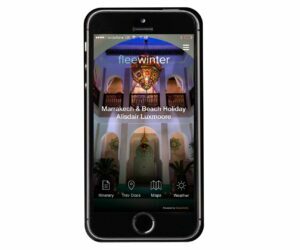 Throw Fleewinter’s first-hand knowledge and passion for authentic experiences and unique boutique hotels into the mix and you have yourself a brilliant holiday. Bangkok’s bustling capital began as a small trading centre at Chao Phraya River 200 years ago. Today, the city is well known for its great shopping possibilities, diverse nightlife and endless dining options. But, visitors can still find hints of its illustrious past and dazzling temples, glamorous palaces, and colourful markets. Must-sees are, amongst others, the Grand Palace, the city’s countless canals offering views of the traditional Thai ways of life on the waterfront and the Buddhist temples Wat Phra Kaew, Wat Pho, and Wat Arun. Stroll through Chinatown to try delicious local eateries and immerse yourself in the charm of the local culture and colourful street life. The surroundings of Bangkok are as spectacular as the city itself: Visit Kanchanaburi and the world-famous Bridge over the River Kwai, explore Ayutthaya Historical Park – a UNESCO World Heritage Site just a 2-hour drive from Bangkok or discover the town of Amphawa, home to a quaint floating market that cuts through a small but vibrant community of vintage shop-houses. During a visit to Thailand’s picturesque North, you will discover Thailand’s spiritual side. Life is a lot slower and more traditional here. While Bangkok is cosmopolitan and modern, nature and animal lovers will find what they are looking for up North. We love the green hills and serene landscape of Northern Thailand, its rich heritage, the countless trekking possibilities, the elephant encounters, Chiang Mai’s spiritual side and the captivating history of the Golden Triangle. Thailand is famous for its pristine sand beaches and stunning, clear blue seas. With over 3,000 kilometers of coastline and 8,000 tropical islands, it caters to all kinds of travel styles. 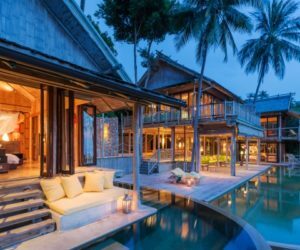 Whether you are a party animal, a luxury lover, adventurer or a family with children, Thailand’s beaches and islands have you covered. 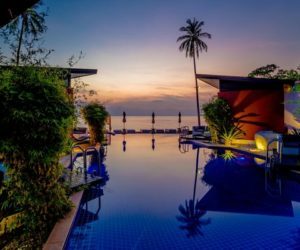 While we love Koh Samui, Krabi and Phuket for their fabulous boutique hotel options, we adore lesser known islands like Koh Lipe and Koh Kood where accommodation may be a bit more basic but beaches are still untouched and lifestyle is relaxed. Let us know your preferences and we will find the perfect Thai beach for you. Our favourite hotel is offering a great promotion from March 2019: Stay 3 nights, but pay 2 only! This comes down to 3 nights in a Suite costing from £750 per room per night. Get in touch to find out more. Stay 3 nights and pay for 2 at this quiet beachside resort in Khanom. Additional offers may exist so get in touch to learn more! Travel from March 1 – December 19, and pay only 5 nights when staying 7 nights, or pay 3 when staying 4 nights. The yoga festival “Zenergy” at Pimalai Resort & Spa will be held from 13-18 July 2019 - famous yoga instructors from around the globe will attend the event. Get in touch to find out more. The luxurious 5* resort Layana on Koh Lanta offers their Garden Pavilion rooms incl. breakfast for £135 per night, from 1 May - 31 October 2019. During the high season, this room category costs £335 per night. Book by 30 April 19. 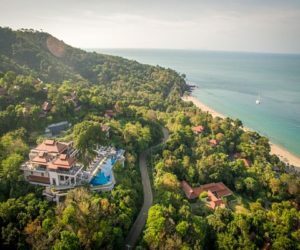 Summer promotion: The wonderful Pimalai offers great rates from 15 May to 30 November 2019 (blackout dates: 1-30 October): £270 per night for a Pavilion Suite including breakfast, or £285 per night for Beach Villa including breakfast. 15% off for the travel period until 31.03.19. 20% off from 1 Apr - 12th May.